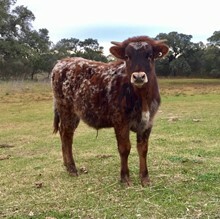 His dam Texana Garland's Gal (94" tip-to-tip) brings in Tejas Star genetics and Starliner twice. 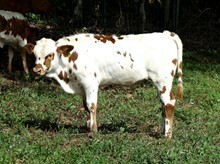 His sire WS Jamakizm has produced a number of 90+" cows. 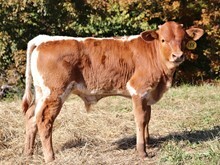 His genetics are a perfect outcross for some of the most popular bloodlines out there today. 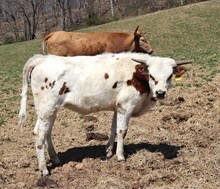 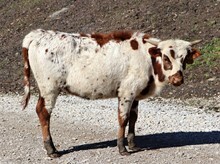 He's a big bodied bull with gorgeous color. 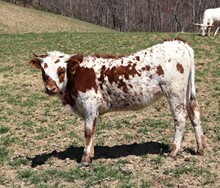 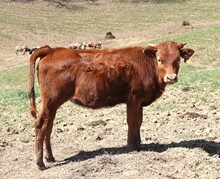 Thanks to Lynette and James Haltom, Haltom Hollar Ranch, for their purchase of half interest in this bull calf. 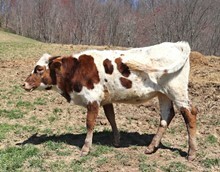 We look forward to a great partnership producing some outstanding offsprings with this bull. 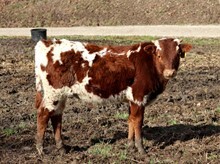 Thanks to Lynette and James Haltom, Haltom Hollar Ranch, for their purchase of half interest in this bull calf. 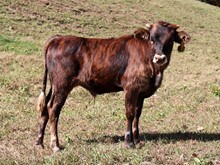 We look forward to a great partnership producing some outstanding offsprings with this bull.